Clash of clans attack strategy guide (coc guide). These attack strategies are coc best farming attack strategies. 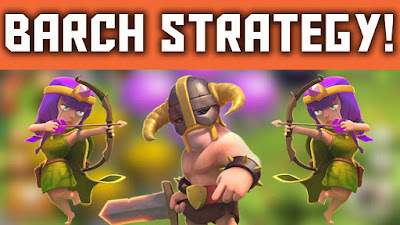 These all archers and barbarians and archers strategies are clash of the clans best farming attacking strategy for ton hall level 6 (th 6), town hall level 7 (th7), town hall level 8 (th8), town hall level 9 (th9), town hall level 10 (th10), town hall level 11 (th11) .These guide tells u about coc army planning usage of spells like healing, lightening poison and deployment of troops to get maximum loot at all town hall levels. All Archer Strategy (TH6, TH7, TH8, TH9, TH10, TH11). This farming attack strategy uses all archers. This attack strategy is effective to get enough loot. Archer main enemy are wizard tower, mortar and inferno tower. 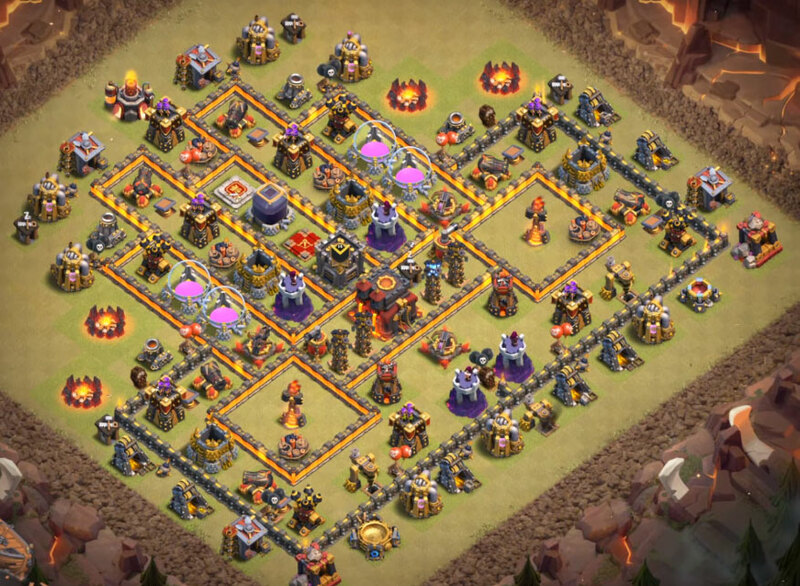 This attack strategy is useful for all town hall levels 6,7,8,9, 10, 11.train the entire available space of barracks with the archers. 1. Check for defensive building like mortars, wizard towers and inferno towers. 2. Check if infernos in town hall 10 or 11 located in the end of the base and selected for multi target. If not u can go with all archer attack strategy. And also check for giant bombs by placing single archer in that location before you deploy a group of archer. All archer attack strategy is used for abandoned bases. It takes around 20 to 25 minutes to fill the entire army of archers in any town hall level. Army strength would be around 200,220,240. Preferred Clan castle troops: archers,wizards,minions. Bring only lightening spells to destroy defensive buildings like mortar, wizard tower and inferno tower that causes huge damage to archers. And bring poison spell to taken down for clan castle troops while attacking. Healing spells won’t help much with all archer attack strategy because archer have less hit points so they will be killed in one shot. How to attack using all archer strategy? 1. First take down the building which are out of range of defensive buildings. 2. Check for giant bombs by placing 1 to 2 archer in giant bomb places. 3. Kill the clan castle troops, if the clan castle is out of range better u attack from the other side. Check for archer queen because she is very dangerous she takes lots of archers and our archers can’t be reached through the walls. Use archer accordingly to the respective building like 4 to 5 archers for builder huts, army camps, hero spots. Cover the entire base from the point where you start and this is most preferred one. Use hero with left out archers at dangerous places. 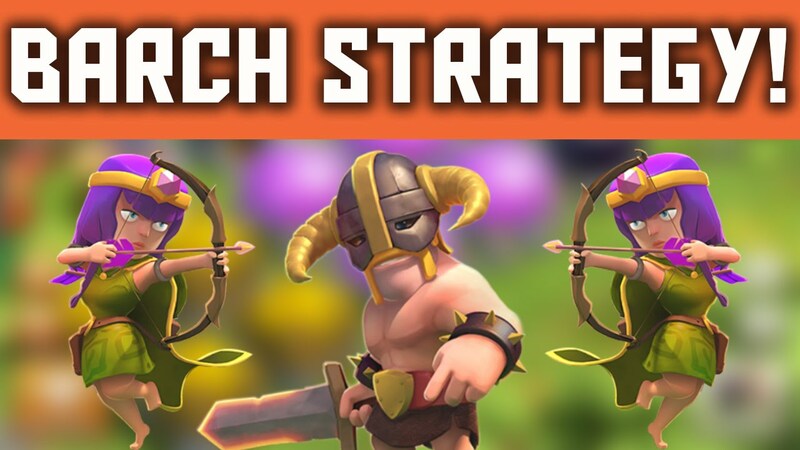 Barbarians and Archers strategy (Barchers attacking strategy). This archer farming attack strategy uses all barbarians and archers. This attack strategy is effective to get enough loot. Archers and barbarians main enemy are wizard tower, mortar and inferno tower. 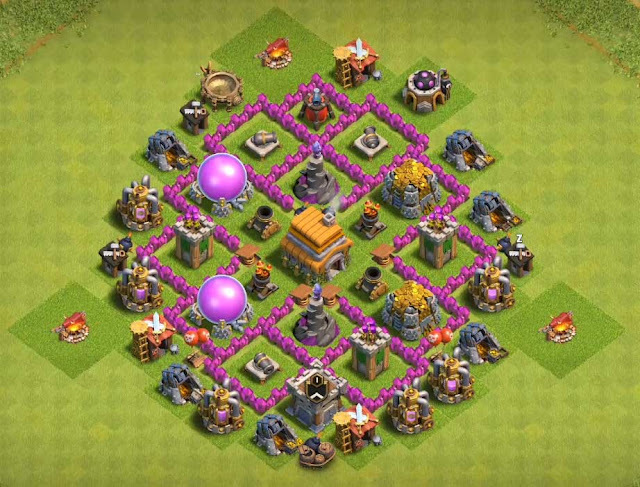 This attack strategy is useful for all town hall levels 6,7,8,9, 10, 11.Train the entire available space of barracks with the archers and barbarians. Points to be taken care are same as all archer strategy. Initially take down all clan castle troops, and also the building which are outside. Select a point and start releasing your barbarians first and slowly release the archers by giving the follow up to the barbarians the barbarians take the damage that is caused by defensive building in the meantime archer will do your work by destroying the collectors and gold mines. Try to cover the entire base. 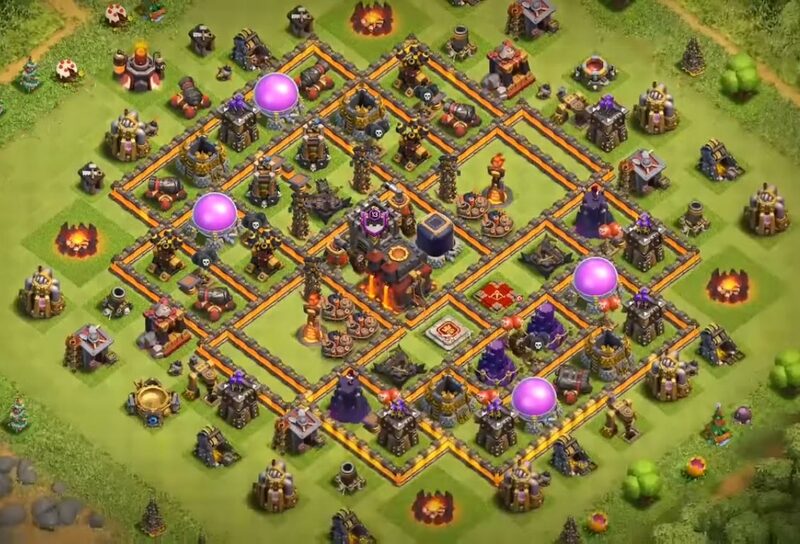 This attack strategy is mainly used for abandoned bases having enough loot in the collectors and gold mines. Take lightening spells to take down the defensive buildings like archer, wizard and inferno. Take poison spell to take down clan castle troops. That’s all from all www.cocwiki.net. Do u have any recommendations or suggestions? Let us know in the comment section below. Did we miss out any best farming strategies? Join our cocwiki facebook group.